The ability to reprogram cells into induced pluripotent stem cells (iPSCs) has given a new perspective on cellular identity and cellular development. 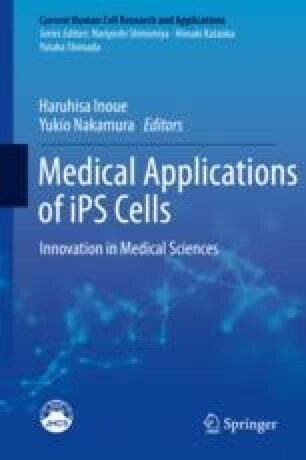 Since the original report of iPSCs, the range of methods and species in which iPSCs have been achieved demonstrates a universality of the pluripotency network and its maintenance. From a clinical perspective, iPSCs provide a new human cell model to study disease and innovate therapies. The reprogramming of patient cells provides a unique human cell model to investigate pathogenesis. iPSCs have especially strong appeal for the study of rare diseases or diseases that are normally diagnosed at late stage. Experimental therapies and drugs based on iPSC research are now at clinical stage. Additionally, drug repositioning using iPSC models has attracted heavy investment from industry. Despite their potential, iPSCs have inconsistent epigenetics with embryonic cells, which has retarded research on some cell lineages and related diseases. Regardless, there is anticipation that a large number of diseases will be treatable using iPSC-based products in the next decade. I thank Masaya Todani, Center for iPS Cell Research and Application (CiRA), Kyoto University (Japan), for the figure illustration.